Jeff Hodgdon sets a sign out in front of the Expo building on Park Avenue in Portland, Nov. 6, 2018. The 116th Congress could make history with HR 1, a bold set of reforms that would make it easier for Americans to vote, crack down on money-in-politics corruption, and shine a light on dark money in political campaigns. We at Maine Citizens for Clean Elections, a grassroots organization working to ensure that Maine’s campaign finance laws, elections and government serve the public interest, believe that HR 1 is the set of reforms our country needs and voters want. HR 1 addresses a near complete lack of transparency about who funds political advertisements on the internet. The bill will better inform citizens of who’s behind the ads they’re seeing and help prevent foreign money from infiltrating our democracy. HR 1 also shines a light on spending by 501(c)4 organizations like the AARP and NRA, which aren’t currently required to disclose their donors and campaign spending. Special interests and the super rich exploit this loophole to hide their identities and skirt campaign finance laws meant to limit their political influence. HR 1 also establishes a nationwide Clean Elections program that multiplies the small-dollar donations of everyday Americans with public funds and amplifies the voice of regular people, countering the influence of big money in our politics. Maine has led the way on Clean Elections since 1996, when voters approved our own public funding option for state office candidates with the passage of the Maine Clean Election Act. 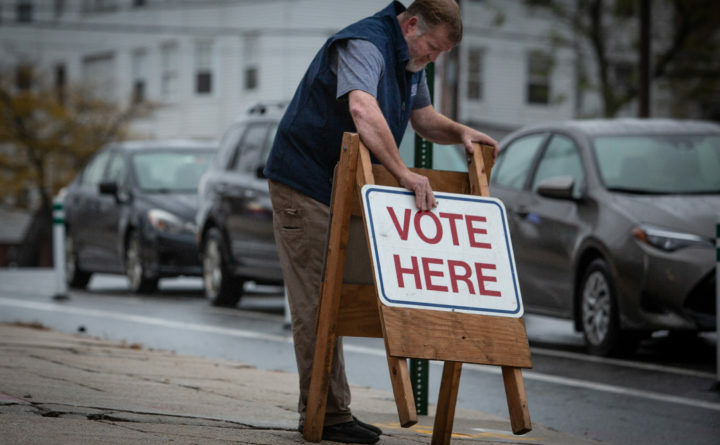 In 2015, Mainers went back to the polls to reaffirm the act with a second referendum, expand the Clean Elections program, require additional transparency and disclosures, and increase fines for violations of the act. Not content to see their political power challenged, corporations and special interests have long taken aim at our Clean Election law. That’s why it was unsurprising to see former US Senate candidate Eric Brakey, big money’s latest champion, use the same tired arguments to attack our state’s Clean Election act and Rep. Jared Golden’s co-sponsorship of HR 1. Brakey suggests that Golden supports HR 1 because, as Brakey claims, it could send Golden’s reelection campaign “an influx of $9 million.” In reality, based on HR 1’s cap on the aggregate clean contributions for which participating candidates are eligible and the most recent data available, Golden’s matching contributions would be capped at $2.7 million. Since Golden’s campaign raised considerably more than that in 2018, it is difficult to see how his support for HR 1 could be seen as self-serving. On the other hand, the unbridled donations to Brakey himself are good examples of the influence of the super-rich and corporations that HR 1 would help limit. Brakey’s 2018 campaign for US Senate was awash in campaign cash from groups outside Maine, including Texas banking tycoon Andrew Beal and Texas’ “ Jobs, Freedom & Security PAC,” whose largest contributors were a big bank, a mining equipment company, and an oil company. Brakey goes on to argue that our state’s Clean Election law doesn’t work because outside groups have increased their spending in Maine over the last two decades. He is correct that outside spending has gone up in our state but fails to acknowledge the role of the 2010 Citizens United decision in this proliferation of political spending. That decision opened the door to SuperPACs and resulted in a vast network of undisclosed spending in candidate campaigns by corporations and wealthy individuals. Brakey’s test of success misses another important dimension: Clean Elections in Maine have succeeded in giving opportunity to lots of ordinary citizens who would never have run for office or had an opportunity to serve without strings to private money. The rise of big money in our politics is no reason to do away with campaign finance reform. It’s exactly why we need these reforms now more than ever. Regular people need a way to break the stranglehold of the rich and powerful on our government. That’s what Clean Elections programs are designed to do. These programs aren’t perfect, but they’re the best tool we have to give power back to the people. Maine wants the kind of democracy that limits the influence of money in politics. We’ve gone to the ballot box to say so. Twice. Anna Kellar is the executive director of Maine Citizens for Clean Elections.